Periodontitis, commonly known as gum disease, is an oral condition that affects the gums and bones supporting the teeth. People with diabetes are at an increased risk of developing gum disease and if this condition goes unchecked, it gradually leads to tissue damage and tooth loss. Fortunately, periodontitis is a preventable disease that can be easily treated with an early diagnosis. 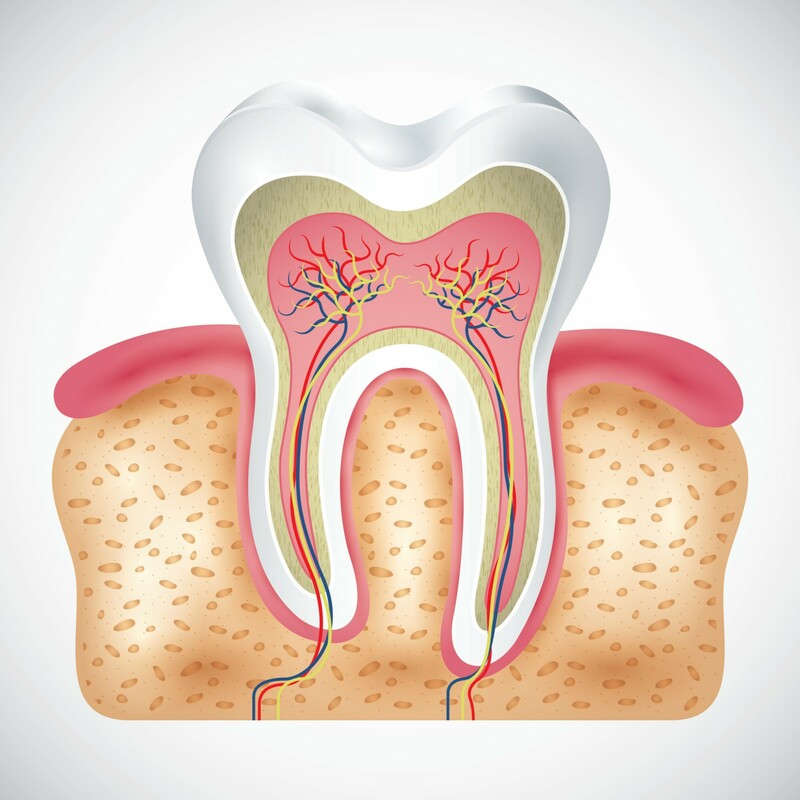 What are the Causes and Risk Factors for Periodontal Disease? Lack of oral hygiene and poor brushing habits often lead to the accumulation of dental plaque on your teeth. This sticky film of germs then becomes the cause of gum disease. The first stage of periodontal disease is called gingivitis and during this stage the gums become swollen and red and may bleed during brushing and flossing. For a person suffering from diabetes, high blood glucose levels make it much easier for harmful bacteria to breed in the mouth, leading to gum inflammation in the initial stage and permanent damage down the line. Poorly managed blood sugar levels damage the nerves, blood vessels, the kidneys, eyes, feet and heart. This reduces the supply of oxygen to the gums, increasing the risk of dental decay and gum disease. The connection between diabetes and gum disease becomes even more profound when you consider the potential implications of oral infections on your blood glucose levels. Having diabetes makes it harder to fight oral infections which in turn can cause your overall health to spiral out of control. When the gum disease becomes severe, the inflammation escapes into the bloodstream and adversely impacts the body’s immune system. People suffering from diabetes must schedule regular dental check-ups so that an impending gum disease can be diagnosed and treated in time. Diabetic patients are more susceptible to periodontal disease as compared to people who don’t have diabetes because they contract infections easily. In fact, periodontal disease is also considered as a consequential implication of diabetes. Several research studies have also suggested that periodontal disease often makes it all the more difficult for people to keep their blood sugar levels in check. So, it can be safely concluded that diabetes and gum disease work both ways. During the menopausal stage, women may experience certain changes in their mouth including discomfort, dryness, altered taste, pain, and a burning sensation in the gum tissues. Menopausal gingivostomatitis may also affect a small percentage of postmenopausal women. Symptoms of this condition include gums that appear dry or shiny, pale or deep red and bleed easily, but all of these symptoms can be easily relieved with estrogen supplements. Keep your diabetes in check and see your doctor before you schedule a dental check-up so your doctor can convey your overall medical condition to your periodontist before your periodontal disease treatment begins. You may be required to modify your diet and your meal timings along with your insulin dosage if you are planning to undergo an oral surgery. If your diabetes is in control, then a periodontal surgery can be performed as an outpatient procedure however, diabetes often delays recovery. But with good dental care from an experienced periodontist, postoperative complications are least likely to occur. If the blood sugar levels are not in control, it is recommended to postpone any non-emergency surgical procedures but acute oral infections like abscesses should be treated immediately. Once the periodontal infection has been treated successfully, it becomes much easier to keep blood sugar levels under control. While diabetes and gum disease may make each other difficult to control, exercising a little caution and keeping up with regular dental check-ups can make a big difference to your oral and overall health. Grace Clark, A dental marketer at Michael G. Long DDS, Fresno, CA and a believer in holistic health, Grace lives by the rule that health and happiness go hand in hand. She writes on various dental topics focusing on healthy living and holistic health. When she’s not working or blogging, she enjoys spending her time with her family and volunteering at the local youth centers where she educates children about the importance of health and fitness.